It's time to get up and walk! 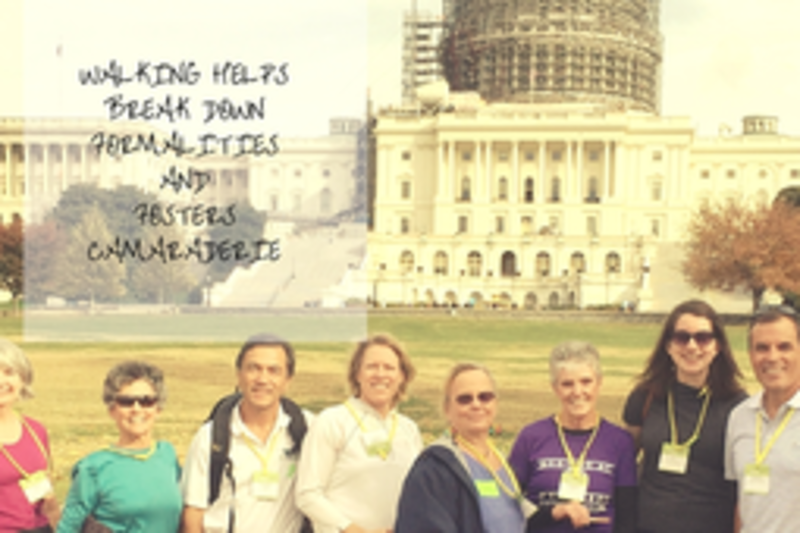 At this meetup, you'll learn how Netwalking fosters interpersonal relationships and enhances well-being. Discover easy ways to integrate walking meetings into your work day, and how this leads to more productive individuals contributing to your organization. On average, Americans sit 9.3 hours a day and spend 11 hours a day on electronics. This meetup will teach you how to sit less, walk more, and develop deeper connections through physical activity in an age where technology thrives. Jessica Tunon is a social entrepreneur who empowers individuals to foster collaborative working relationships. In 2014, she founded Netwalking® LLC, a D.C.-based professional services firm providing the mobility space for group walking meetings. Ms. Tunon is a speaker on the topic of Walkability and has presented at South by Southwest (SXSW) Interactive, SXSW V2V, GoodxGlobal, The Swedish Institute, The Walking Summit and other events focused on workplace mobility and green solutions. Jessica Tunon has over 20 years of experience in consulting a wide variety of corporate and non-profit settings in finance and operations. She graduated with honors from Lynn University with a Bachelor of Arts in Business Management and holds a certificate in Walkable Urban Real Estate Development & Place Management from George Washington University. In 2014, her team, ElectroRest was a finalist at the Smart Living Challenge, an ongoing platform to make daily life more sustainable in Sweden. She is a founding member to the Social Good Summit + Austin, SheSource Expert, at large member to the DC Pedestrian Advisory Council, Producer and My Heart My Life Committee Member with the American Heart Association of Greater Washington. South Florida -> Arlington, VA -> Austin, Texas -> Oxon Hill, MD and 2 years ago found a home in Washington, DC.